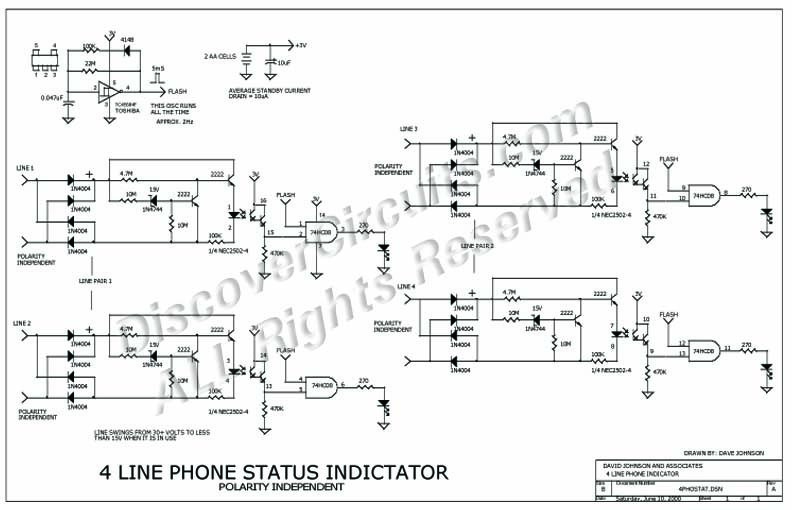 Circuit: 4 LINE TELEPHONE LINE STATUS INDICATOR__ Circuits designed by David A. Johnson, P.E. Many home businesses use multiple phone lines. This circuit gives you a visual indication when a line is in operation. The two AA battery cells should provide enough power for about one year of operation.